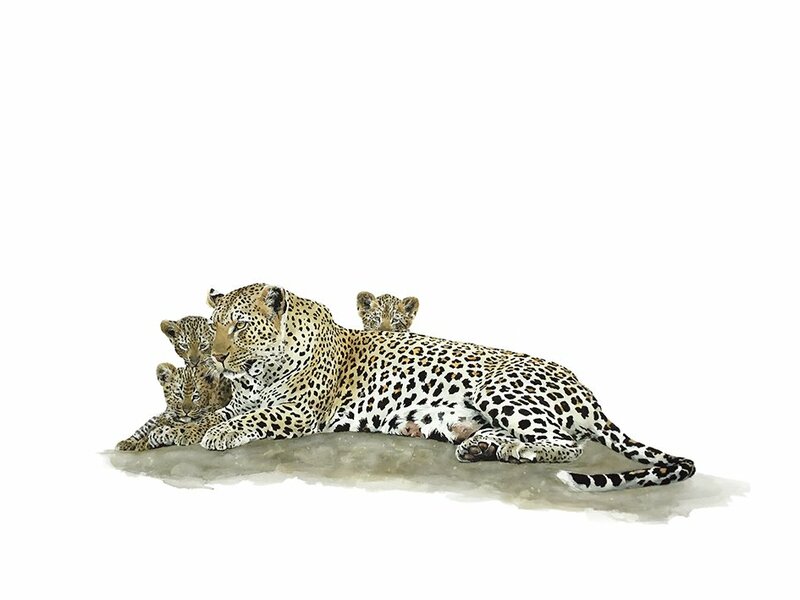 Original watercolour painting of a mother leopard and her cubs. 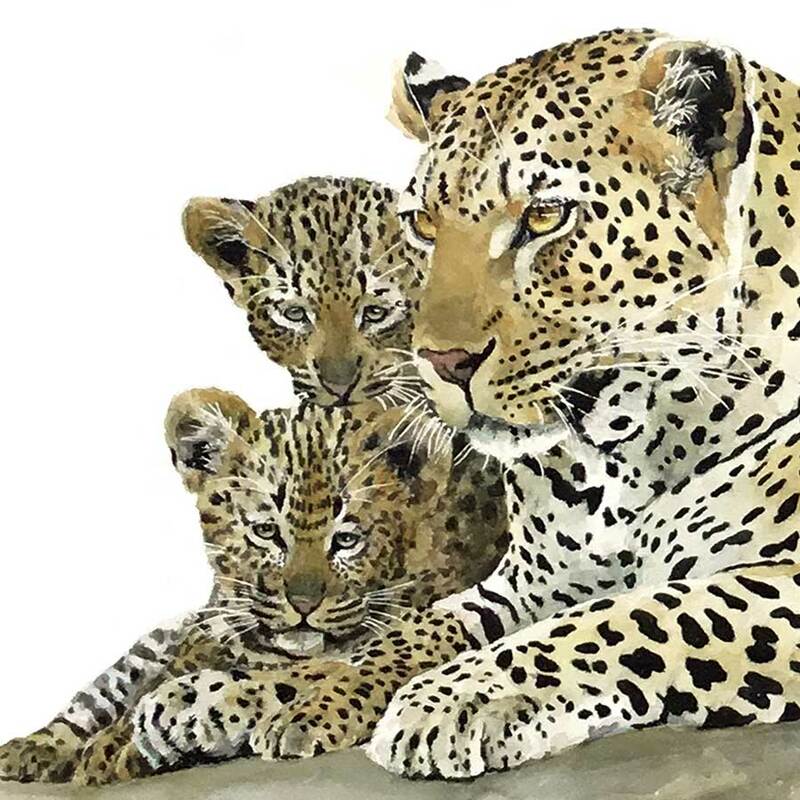 Painting of a leopard and leopard cubs. Leopard cubs depend upon their mothers until about the age of 10 months. 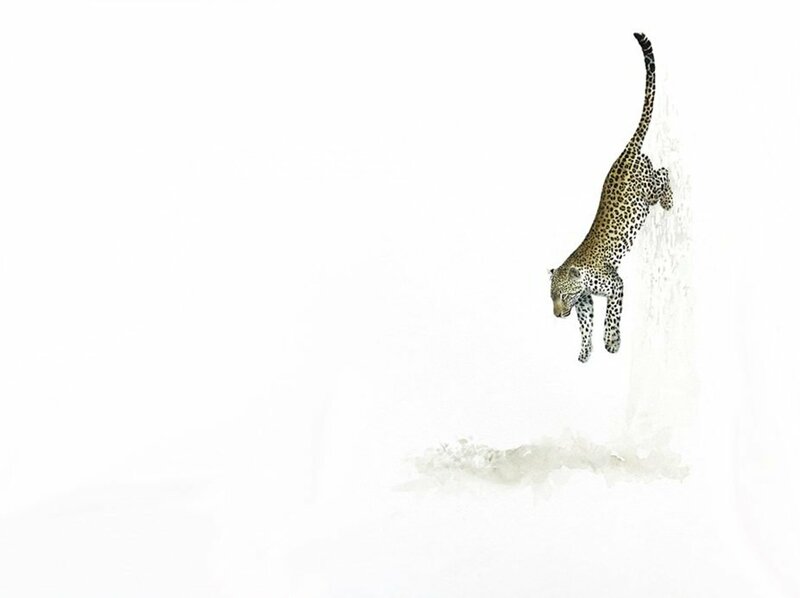 However, they can sometimes stay with their leopard mother for much longer. 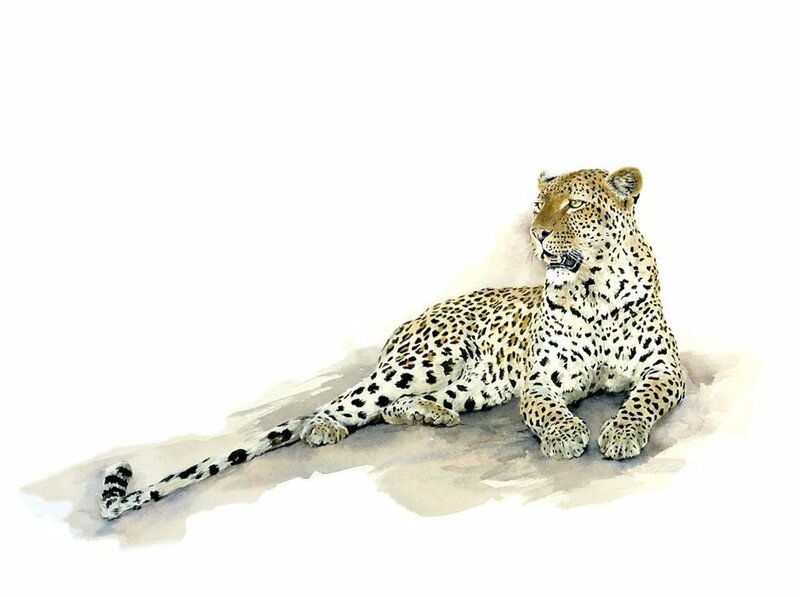 An original wildlife watercolour painting by wildlife artist, Sue Dickinson Sue Dickenson Sue Dickson Sue Dixon. Original watercolours are difficult due to the watercolour watercolor paint being almost impossible to remove after it’s on the paper. 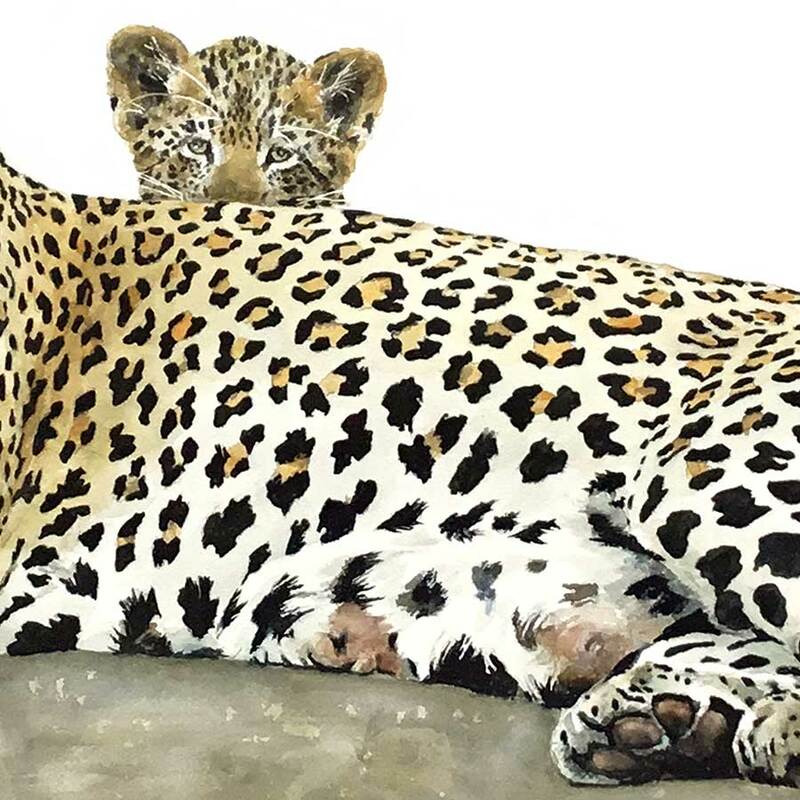 For this reason, animal paintings of leopard are demanding for animal artists to do. 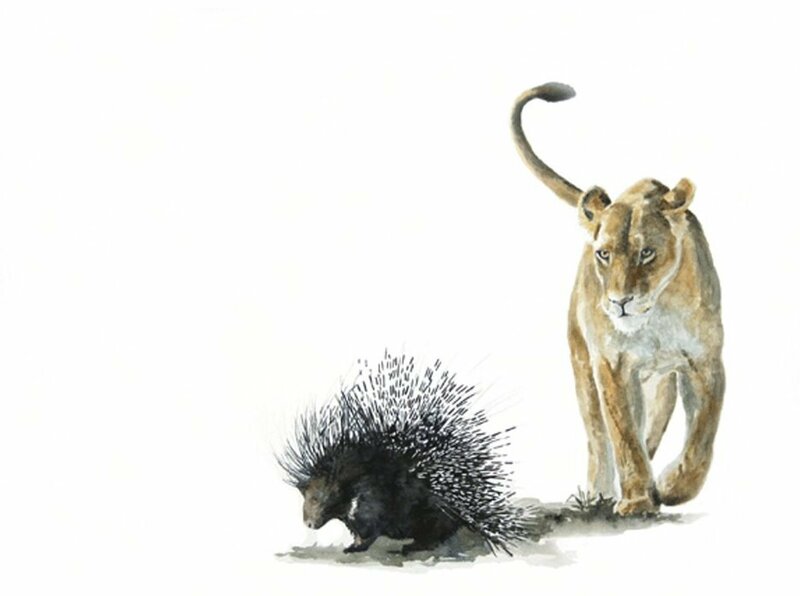 Painted in watercolour by animal artist, Sue Dickinson. Available for sale now!